When Marcin Jerzewski, ’18, arrived at the University of Richmond from Poland, he was certain that he wanted to study East Asian affairs. “In high school, I began taking Mandarin Chinese as my foreign language, and I became fascinated with the language, culture, and social realities of contemporary China,” he said. 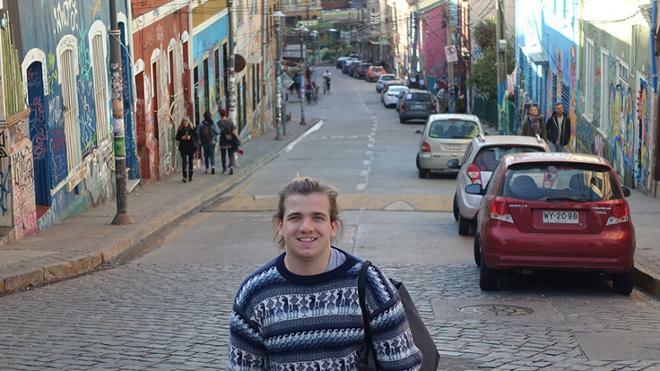 But a winter break trip to Santiago, Chile, followed by Jennifer Pribble’s First-Year Seminar on Latin American politics and film, changed his trajectory, giving his studies a much broader focus. The course focused on the dictatorship of Pinochet and the transformation of Chilean politics into democracy. Jerzewski was hooked and began studying Latin affairs as well. Most of the academic scholarship on China’s involvement in Latin American countries focuses on countries in Central or upper South America, such as Ecuador and Venezuela. While China’s relations with Chile and Argentina are important for all three countries, Jerzewski could not find research that delved into these relationships, so he decided to make those countries his focus. “One of the core questions of my project is determining whether China is attempting to exert influence in areas beyond economics by building these economic relationships,” Jerzewski said. To answer that question, he spent five weeks in Santiago, and five weeks in Buenos Aires, exploring how China is perceived by the media, and by politicians and bureaucrats. “I looked at articles that mentioned China over a 10-year period in the five most-read newspapers in each country to see if a correlation exists between the volume and nature of the articles and China’s involvement in each country,” Jerzewski said. He also interviewed academics and politicians to get their perspective. 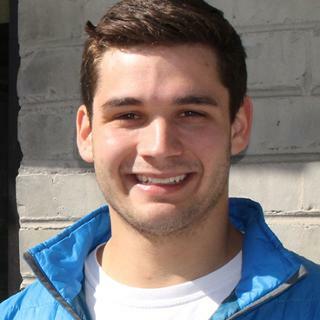 When he returned to Santiago to conduct his research, Jerzewski immediately noticed differences in the city from his first trip in 2014 that suggest Chinese influence. “The city center and the area around the main train station have changed completely. It almost looks like a Chinatown because of a growing Chinese diaspora and free trade between the two countries,” he said. He also cites Argentina giving permission for the Chinese People’s Liberation Army to open a military base in the desert of Neuquén Province as evidence of a relationship between the countries that may extend beyond economics.